This is a De Havilland DH-50A VH-UAB “Southern Cross Midget”. 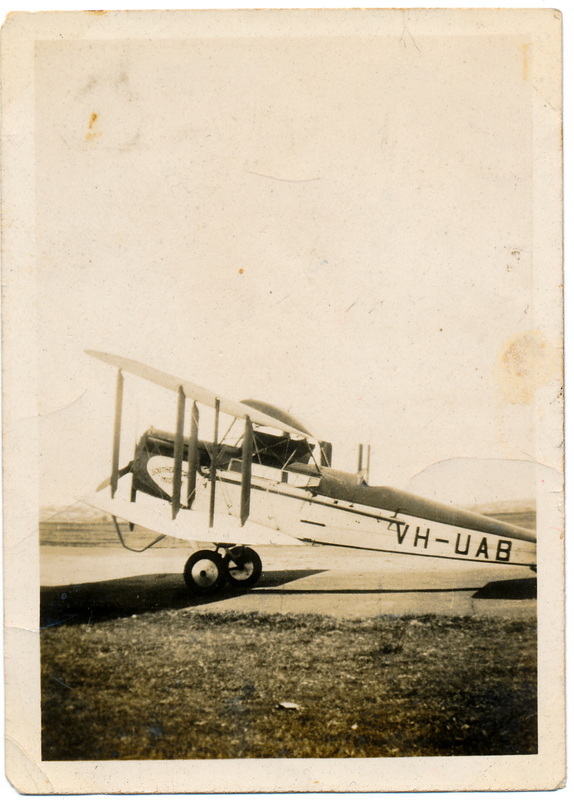 It was first registered in July 1924 and went to the RAAF in May 1931 as A10-1. A year later it was acquired by Harry Purvis and Tommy Pethybridge. Purchased in 1935 by Sir Charles Kingsford-Smith who named it “Southern Cross Midget”. It went back to the RAAF in late 1942 and withdrawn from use around April/May 1943. Photo taken at Mascot most likely in 1935 by Jack Hewson. VH-UQL - Image courtesy of John Hewson. This is DH-80A Puss Moth VH-UQL. First owned by Jimmy Broadbent in 1932. His company was Sydney Air Taxis and the aircraft was named “Dabs 2”. 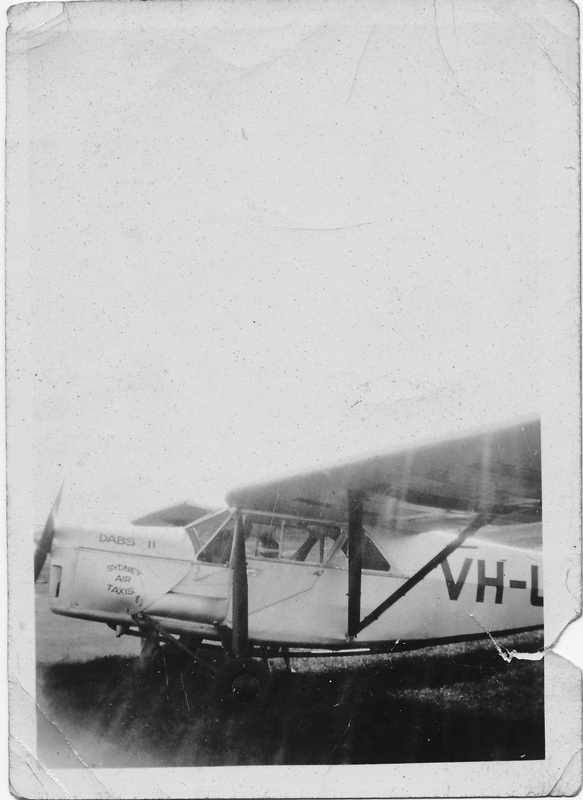 After several other owners the aircraft was written off in a crash at Coen, North Queensland in August 1941. Photo taken in mid-1930s by Jack Hewson. Clancy Sky Baby - Image courtesy of John Hewson. 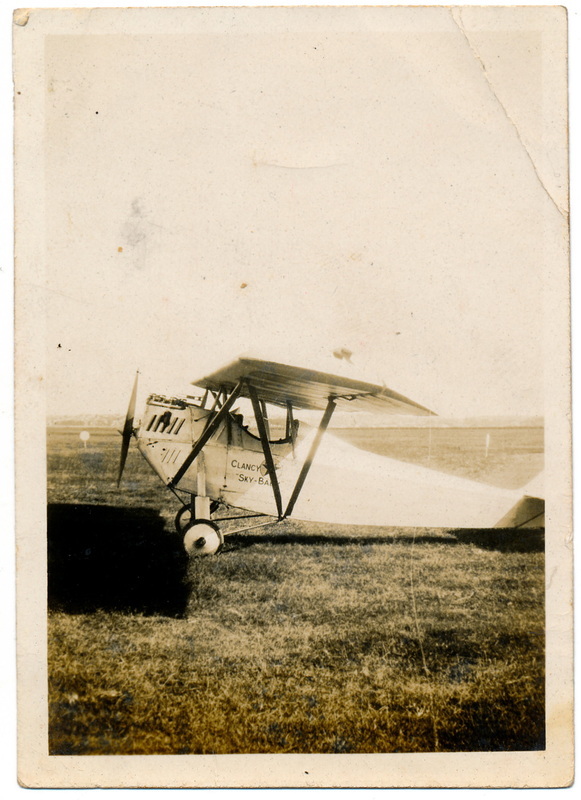 The Clancy Sky Baby was a small aircraft designed and built by Allan and Jack Clancy in 1931. The forerunner of today’s homebuilts. From the mid 30s, again probably taken around 1935.